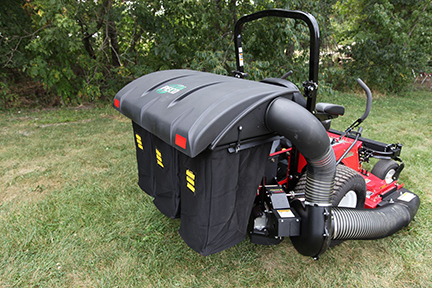 The Residential Bagger features two extra durable cloth bags totaling 7.5 bushel capacity. 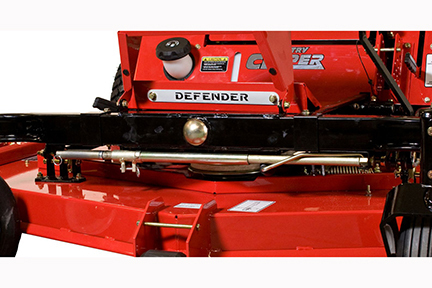 Designed with a tapered cut to provide ease in removing and dumping debris. 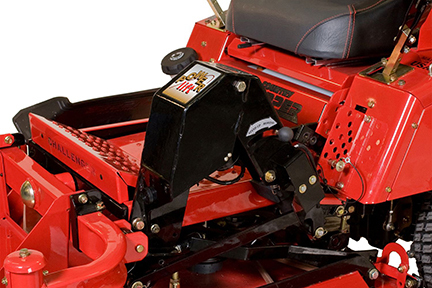 The Commercial Bagger features three extra durable cloth bags totaling 15 bushel capacity. The system's blower vacuums and throws debris to completely fill the containers. 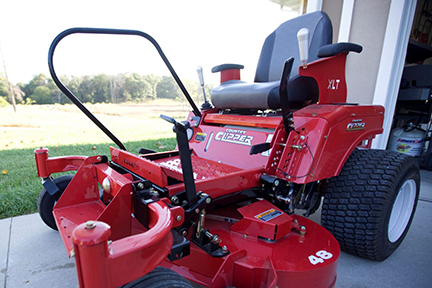 The all new Hand Rail is universally designed to assist the operator when entering or exiting the mower. 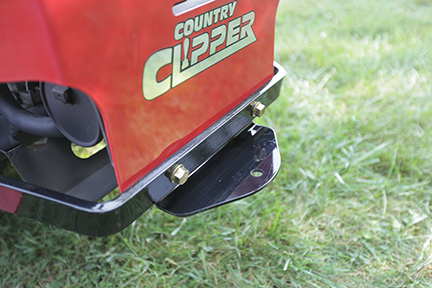 Used with Country Clipper's wide front step, climbing into the seat has never been easier. The Power Lift allows the operator to adjust the cutting height and stand the deck to a vertical position with the push of a button. This accessory will enhance the benefit of the stand-up deck by taking care of the heavy lifting. 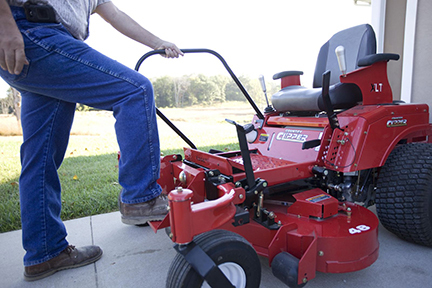 The Manual Hand Jack gives the operator the ability to easily raise and lower the deck for serviceability and cleaning. 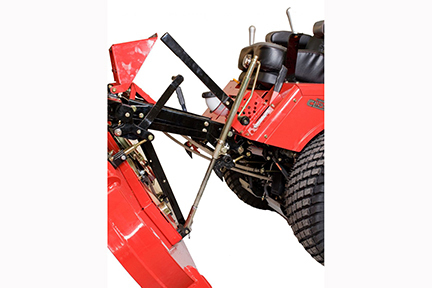 The Manual Jack can be operated with the included hand crank or an impact or heavy drill. 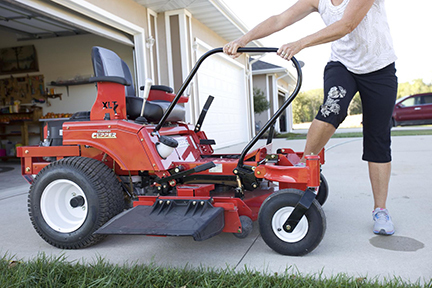 This accessory easily stows away under the front frame of the mower for quick access. 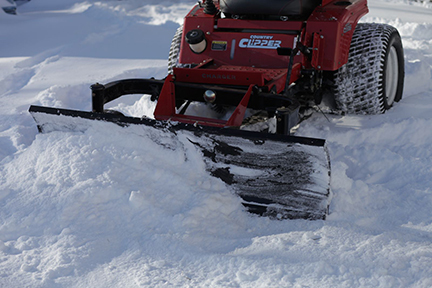 The Push Blade makes light work of snow removal, landscaping and much more. No need to use a shovel to clear your driveway. Our durable hitch kit is easy to install. Attach a small trailer to haul debris or supplies. 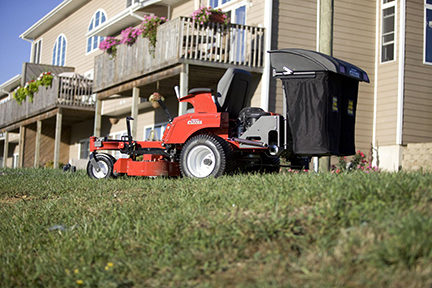 Pull a yard sprayer or small aerator. Will accept up to 5/8" shank ball. *Does not fit single cylinder Kohler models.